As simulation software becomes widespread, designers are willing to optimize their use of the software. Simulation can be time consuming, even for repetitive aspects of the work – that become tedious for the user and are prone to input errors. At the same time, while modeling there will typically be a number of model variations to be tried. Time is also required to analyze all desired iterations of a design, in order to decide which one is optimal. This webinar, presented by INTEGRATED Engineering Software, will explain and provide examples of two common methods for automating aspects of the design process: parametrics and scripting. There are a number of sophisticated routines for solving multidimensional constrained optimization problems (such as sequential quadratic programming, trust region reflective algorithms and various stochastic routines) which characteristically leave the researcher without a good physical feel for the critical parameters. As a result, the designer is forced to rely on intuition and is left with the uneasy feeling that something has been left out. This joint webinar uses the latest features in Tecplot’s multidimensional analysis software (Tecplot Chorus) to help the researcher visualize the interplay of multiple parameters from INTEGRATED Engineering Software’s field analysis programs. See the “real life” advantages of combining Tecplot and INTEGRATED: the ability to easily isolate outliers, variables of secondary interest, and the effects of slight variations on the critical objectives. Write new analysis applications. Get more power and flexibility. Enhance the power of your application to suit your needs. Thanks to the API, users can integrate their INTEGRATED programs to other applications that they need for design analysis, bringing each particular model to an even higher level of sophistication. 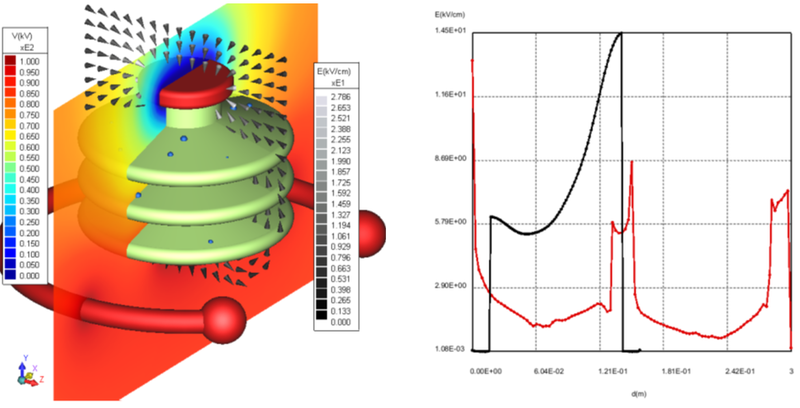 See some examples of our API in action – such as how to design an insulator, test for EMC/EMI issues and optimize a magnetic core shape to obtain a desired B field profile. Precision is key when analyzing beams and particles. 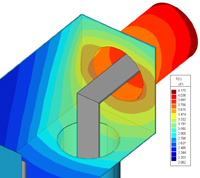 For many engineers and scientists, the design of instruments involves challenges that can only be resolved with the support of CAE tools specifically prepared to handle their very own problems. Our latest version of COULOMB contains significant geometry modeling enhancements (when compared to the previous version) that will accelerate your design time and power your analysis. High quality graphics support the full comprehension of a model. Visualization provides a detailed analysis for the preparation of reports and presentations. While many applications are steady state or have a harmonic time dependence, many other applications involve more complex time dependent processes. This time dependence may be simple mechanical considerations such as the coupling of electromagnetic forces, spring forces, friction forces, etc. in the motion of a device. It may also be pure electromagnetic processes. For example, switching some devices on/off can result in significant transient effects which may be detrimental to a device. What changes in the design can mitigate those transient effects? What changes can enhance desired transient effects? 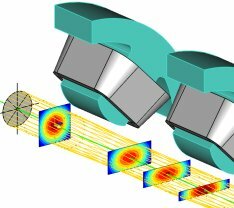 In either case, computer simulations can be a great design aid which enhances your understanding and enables prediction of performance which minimizes the need for physical prototyping. 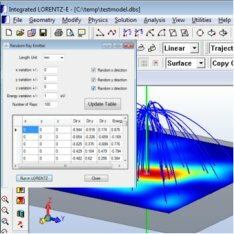 This webinar, presented by Dr. Doug Craigen, Team Leader Testing and Benchmarking at INTEGRATED Engineering Software, will explain and provide examples of results of computer simulations showing the expected transient behavior. 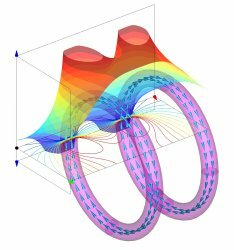 This webinar addresses practical computational issues in discrete calculations of the path of charged or multipole particles in electric and magnetic fields. We begin by showing the theory and an Excel macro implementation of some standard ODE time-based solvers as applied to the charged-particle case. We also discuss potential benefits of a nonstandard distance-based solver configuration. Next some examples are provided to illustrate trade-offs between the number of calculations and the accuracy of the result according to various criteria. 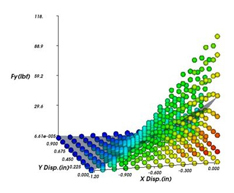 For example, depending on one’s needs, the simulation set-up might produce output that is either a dense set of (x, y, z) points that plot as a smooth curve, or a much sparser set of points that are individually more accurate than the dense set. The webinar will end by examining what can be done with the data obtained. Calculations based on a linear interpolation between points are straightforward, but may force one to use an inefficient ODE set-up. This can take excessive computation resources, hence a longer time than necessary to produce accurate results. Some alternatives will be demonstrated using various degrees of physical insight to get the most information possible from the given ODE output data.